Obituary for Marisol Elizabeth Ramirez | Donald V. Borgwardt Funeral Home, P.A. 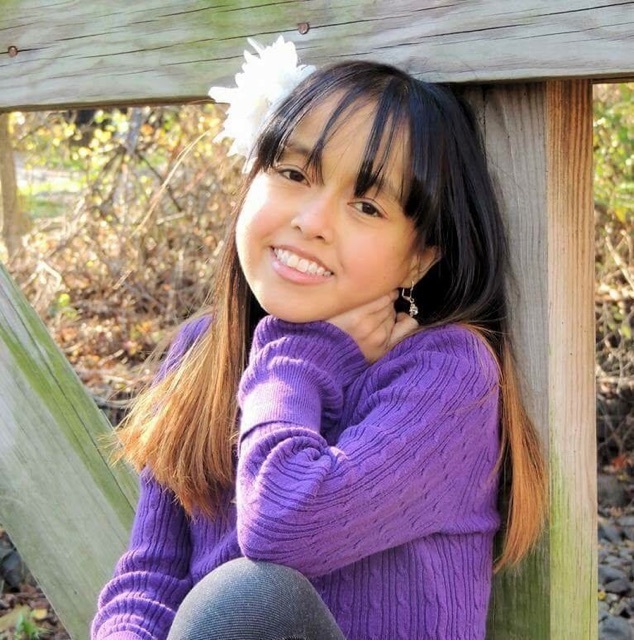 March 19, 2001 Marisol Ramirez was born at Holy Cross Hospital and was immediately diagnosed with jejunal atresia. A condition where the small intestine is completely blocked. She was immediately rushed into surgery at the Children’s Hospital in D.C. Although the surgery fixed the blockage of the intestine, in turn it caused short gut syndrome. This syndrome kept her in the hospital until she was four months old. Even though she was treated for longer, the doctors could still not get her diet regulated. Once Marisol was sent home, she was only able to eat small portions. Her only other way of nutrition was through painful IV’s and TPN. After a failed attempt to lengthen Marisol’s intestine, her GI doctor placed her on the organ transplant list. According to the doctor, this was the only chance Marisol had at growing up healthy. September 17, 2009 was the day Marisol was given a second chance of life. Marisol was eight years old when she received a multi-organ transplant. This transplant consisted of her liver, small intestine, pancreas, and colon. The gift of life was amazing for a short period until Marisol was unfortunately diagnosed with B Cell Lymphoma in January of 2010. B cell Lymphoma attacks the lymph nodes in Marisol’s body. This specific cancer is a “side effect” from the anti-rejection medication Marisol had been on since her transplant in 2009. After a rigorous few months of chemotherapy, in May of 2011 Marisol became cancer free. Although chemotherapy helped with the cancer, it did unfortunately cause major damage to Marisol’s transplanted organs. Therefore on November 6, 2015 Marisol was placed on the organ transplant list for a second time. According to the doctors, this was Marisol’s only chance at being able to improve her quality of life. Marisol never did have the chance to receive the second set of organs that she needed. She fought for three more long and hard years with many hospital visits and in-home nursing visits. Through her several infections and possible rejections, Marisol stayed strong and always had a smile on her face. To the last day, Marisol kept her undeniably unique personality. She was the most loving, caring, kind little girl that people have met. Anyone who has come in contact with her was happy to have done so. Her contagious smile and positive attitude towards life alone would make anyones day. Marisol was especially happy when she was doing anything regarding arts and crafts. Whether it was painting a canvas or decorating a frame, Marisol was happy. It doesn’t matter how bad she was feeling, arts and crafts would cheer her up, it was her outlet. Cooking and baking with her abuela’s was another hobby that Marisol loved to do. She would look on Facebook and Pinterest for new recipes to make and test on her family. Marisol’s family was everything to her. Whenever any family was around, Marisol would light up. She would put all the pain aside to be with them. Marisol would put everyone else before herself. Even in the end she just wanted to make others happy. On the morning of September 10, 2018, Marisol peacefully passed at Children’s Hospital of UPMC. Although it came as a shock to all of her friends and family, they all knew that she would no longer be in pain. In the moment, everyone was sad , but soon after they realized that Marisol would finally be happy and healthy as she is playing with God . Even in her passing, Marisol held her smile high on her face as she held onto her mother’s hand and faded into heaven. Marisol is happy now and we should be happy for her. We will always love her, as big as the Mar-I-Sol. Don’t cry in this time of weakness, smile in the celebration of her life. The service will held on Monday September 17th, coincidently the 9th anniversary of Marisol’s transplant . It will be from 10a.m. to 11 a.m. at Donald V. Borgwardt Funeral Home, 4400 Powder Mill road Beltsville, Maryland 20705. Following the service, the burial will be held at Historic Ivy Hill, 1201 Sandy Spring Road Laurel, Maryland 20707. Followed by a reception that will be held at Lifehouse Church, 12304 Baltimore Avenue Beltsville, Maryland 20705. All are welcome to attend and share memories of our beautiful princess. Per the families wishes, we ask that you please dress in colors other than black in order to celebrate Marisol’s love of art. To help with the financial burden of Marisol Ramirez’s expenses, a fundraising campaign in her honor has been established with HelpHOPELive, a trusted nonprofit organization that has been providing community-based fundraising guidance to patients and their families for more than 30 years. All donations are tax-deductible, are held by HelpHOPELive in the Mid-Atlantic Multi-Visceral Transplant Fund, and are administered by HelpHOPELive for funeral-related expenses only.